AMERICAN ACCENT LESSONS-How to Pronounce English Words - Learn the American Accent Quickly and Worry Free! 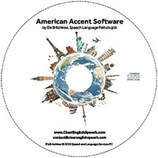 Purchase American Accent Software + 1 on 1 Live Training Package and save 20% off. Options to Get Started Now! Delivers over 15 hours of valuable, engaging, fun, interactive American accent lessons. LIVE training includes a Skype session and a target-specific evaluation aimed at teaching you to speak with clear, intelligible English. We pledge that you will be fully satisfied. Personalized instruction, from a world renowned speech language pathologist. Revolutionary, copyrighted interactive American English, word pronouncing, accent neutralization and more software, not offered anywhere else. Gain confidence and have easy and effortless conversations. Be seen for your valuable skills and not your accent. 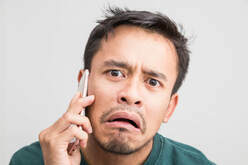 Clear English Speech accent reduction training teaches the Standard American Accent. Be clearly understood everywhere in the United States with the correct pronunciation of words.